Explore the Med with a Classy Cruise! While you and the lads are in Barcelona, you just have to check out the Mediterranean Sea! If your stag is the sophisticated, suave type, we have just the perfect thing for you too! 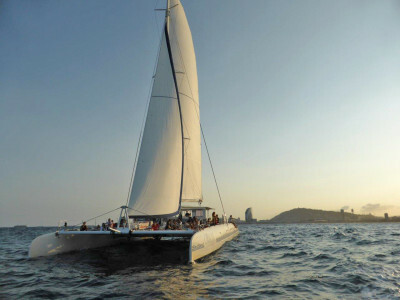 On this classy catamaran cruise you and the lads will kick back in style on a 90 minute tour of Barcelona’s stunning coast. On the boat there are sun-lounging areas, a large bar and chilled out music so whatever your vibe you’ll find it accommodated for. This boat is a real beast, measuring 75 feet in length. With others on the same boat, it’s easy to socialise and enjoy the party atmosphere. The crystal clear waters are just immaculate and the stunning Barcelona skyline, beach and views make it all the more amazing. This will definitely be a standout point of your weekend! 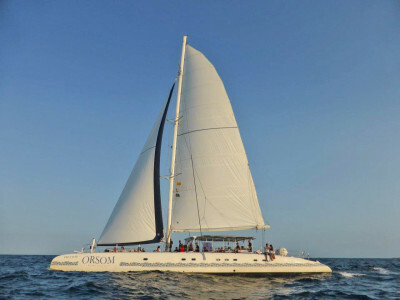 Looking to make more of your catamaran cruise? 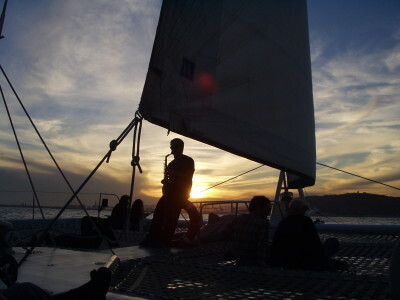 Please get in touch with us if you like the sound of a private jazz or sunset charter – we can definitely help you with that! If you want to make a proper afternoon or evening of it, catering is also available upon request.